Located in the Southwest of Calgary, Alberta lies the community of Aspen Woods. Aspen Woods is filled mainly with residential detached homes, acreages, and breath taking views of the Rocky Mountains. This beautiful neighbourhood is close to city parks in the South of Calgary and has quick access to the mountains – a desirable trait for any who seek the outdoors. Since development in 2001, Aspen Woods is highly sought after for its quiet living and gorgeous properties. 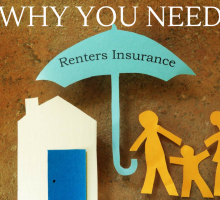 The community is a wonderful option for those starting out and looking to settle down, with a majority of the population being between the ages of 20-64. Sometimes the best part of being part of a community is the new experiences and services available close to home. In Aspen Landing, take up a new hobby in the fine arts or sign your child up for music lessons at Music and Play. Here you can choose from a wide variety of lessons: music, theatre arts, dance, or performance. Learning new artistic skills and getting involved is an excellent way to truly enjoy what your community has to offer. If you are new to the area and are needing some new items for your kitchen or home, check out Kala and Lime! The store is fully stocked with the latest and most stylish kitchen products, or home décor items to make your space better. Nothing is better than the smell of freshly baked bread and a nice warm loaf to come home to. The Lady Bug and Café is the perfect place to satisfy that baked-goods craving, grab an espresso and relax. Their café features organic, homemade, and local goods that your taste buds will thank you for! Head on over to this European styled bistro for breakfast, lunch, or a snack! Whether you are looking for somewhere to eat (fancy or casual), shopping for clothes (adult or child), or want to paint some pottery, Aspen Landing is the place to go! The beautifully rustic-styled shopping opportunity is located beside Marjan Lake and Hashem Pond – the water provides that “out-of-city” feel. If you want a community that is situated in nature and is away from the noise of the city, look no further than Aspen Woods. 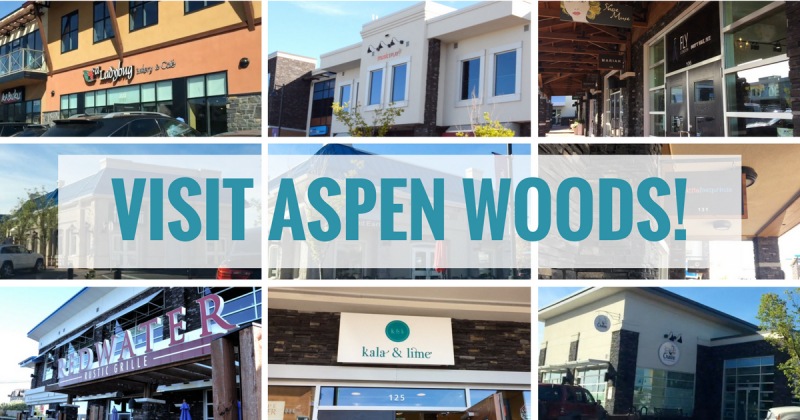 Aspen Woods is the perfect community to take you out of the city without having to make a long commute. Only a short 15-minute drive from Downtown Calgary, it is the ideal location for business people. If you do not have a car, the 69 Street LRT station is easily accessible as a commute option. Located in the southeast corner of the community the LRT is reachable from anywhere in the community by bus. 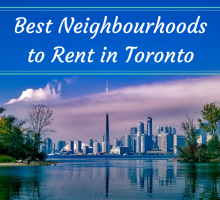 Currently, on Rentfaster.ca there are 40 rentals available with an average price of $2,213. Compared to the nearby community of Springbank Hill, where average rental prices are slightly higher ($2,405) with fewer options available (14). Aspen Woods is ideal for a slower pace of life and a close-community feel. It is the perfect location to stay close to work while still staying close to the mountains. If you are an outdoorsy-type person who wants to raise a family or settle down, Aspen Woods is for you. Check out Rentfaster.ca to view the listings in Aspen Woods and find your rental today! No purchase is necessary and winner will be chosen in random draw. 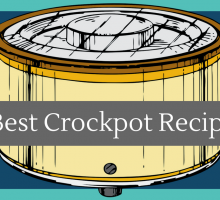 Each comment gives one entry; multiple entries per person allowed. Contest is open to any  Alberta  resident over 18 years of age. Contest is open until September 30, 2017 at 11:59 PM. 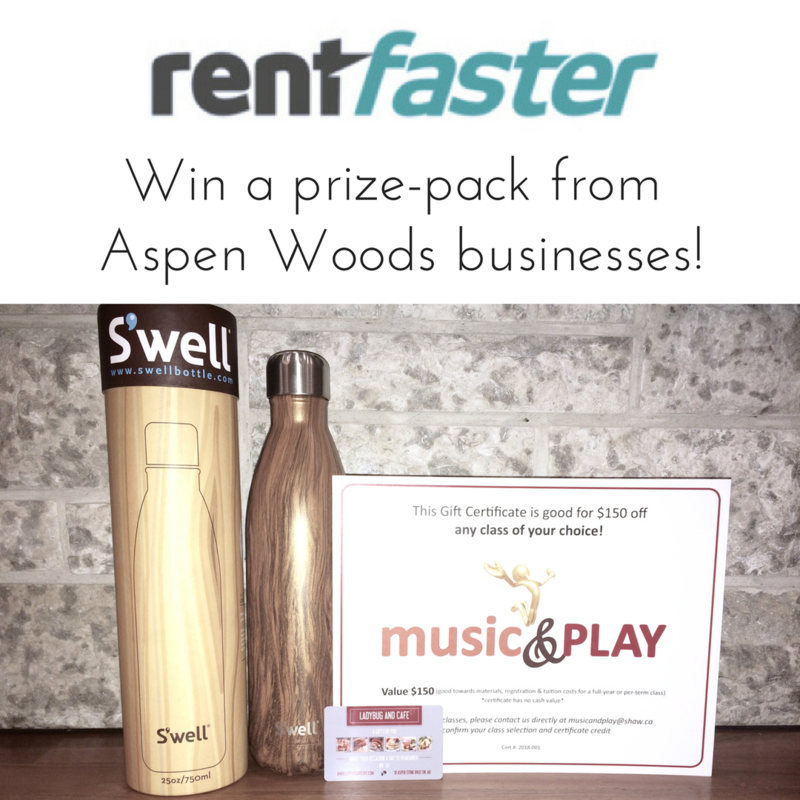 Prize includes $150 certificate to use for any class at Music & Play, Kala and Lime S’well Water Bottle (750mL), and a $50 gift card to Ladybug and Cafe. No substitutes or cash replacement allowed. Skill-testing question required. Winner will be contacted via Facebook within one week after contest close and has one week to respond to claim prize or a new name will be selected. Odds of winning depend on entries. Gift basket will be delivered via mail to winner’s address within six weeks of accepting prize via Facebook or email.